ISLAMABAD (March 19, 2015): Pakistan Science Foundation (PSF) and International Institute for Applied Systems Analysis (IIASA), Austria, will explore opportunities of collaboration for research studies on energy and climate change, food and water and poverty and equity. It was decided in a meeting between Prof. Dr. Pavel Kabat, Chief Executive Officer IIASA and Prof. Dr. Muhammad Ashraf, Chairman PSF. Prof. Kabat, who is a co-recipient of Nobel Peace Prize 2007 and a Member of Steering Committee for EU Research Program Horizon 2020, along with Dr. Margaret Goud Collins, Secretary IIASA called on the PSF Chairman on Thursday. Dr. Kousar Abdullah, Professor at Christian Foreman University and Dr. Muhammad Arshad, an expert on Energy and Climate Change, also attended the meeting. 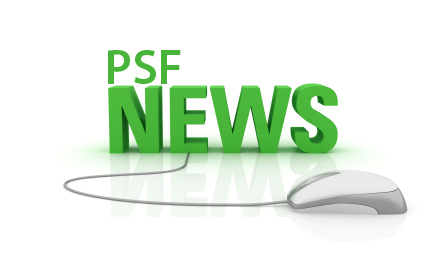 It was decided in this high level meeting that PSF will focus on internationalization. The Foundation with the collaboration of international bodies will create opportunities of funding for international research projects. It was also decided that PSF and IIASA will jointly work for capacity building of Pakistani scientists through international trainings. Prof. Dr. Ashraf briefed the Chief Executive Officer IIASA about the PSF activities and scope. 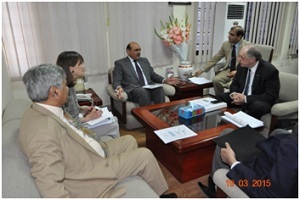 He said the PSF through its research funding and science popularization programs is building science base in Pakistan. PSF’s Natural Sciences Linkage Programme and R&D Industry Programme also came under discussion. The Foundation’s international collaboration with France, UNESCO and Science Academies was also discussed. It is pertinent to mention that IIASA is an international scientific institute that conducts policy-oriented research into problems that are too large or too complex to be solved by a single country or academic discipline. Over 300 scientists, economists and engineers from over 45 countries carry out research at IIASA, Austria. The IIASA is building bridges among countries through scientific collaboration.